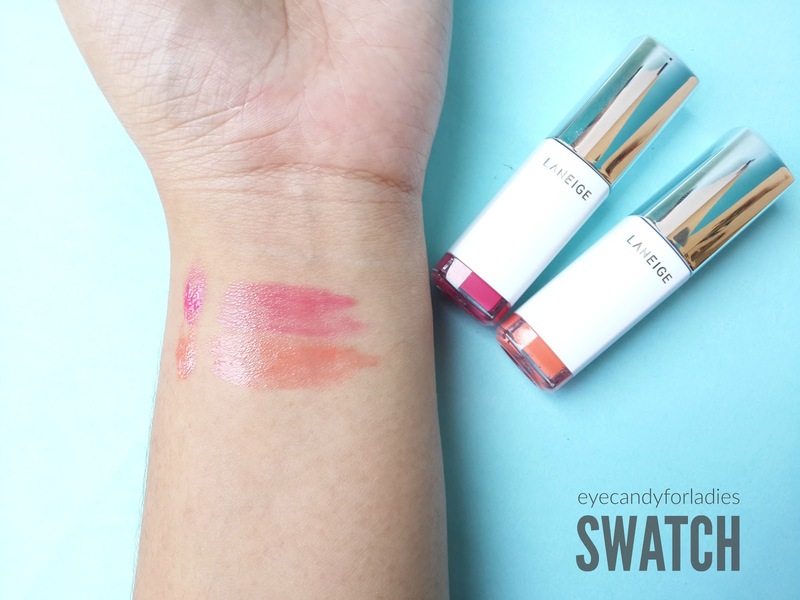 Another sneak peak from Laneige's best product in different shade; Water Drop Tint in 'Coral Peach'. You might have read my previous review about Laneige Water Drop Tint in Rose Mauve before, in case you missed it you can read it again here. 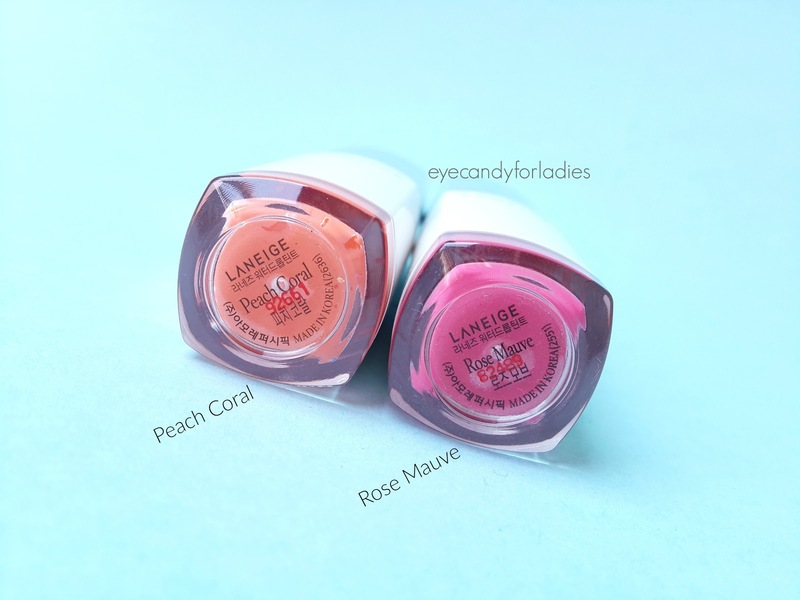 In short, Laneige Water Drop Tint is a great find if you want a luscious, plump lips with glossy finish. 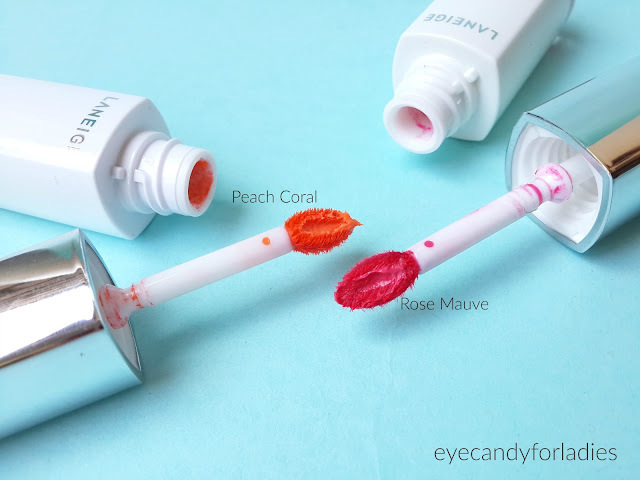 This lip product gives you a moistful and watery effect with great dense-opacity. 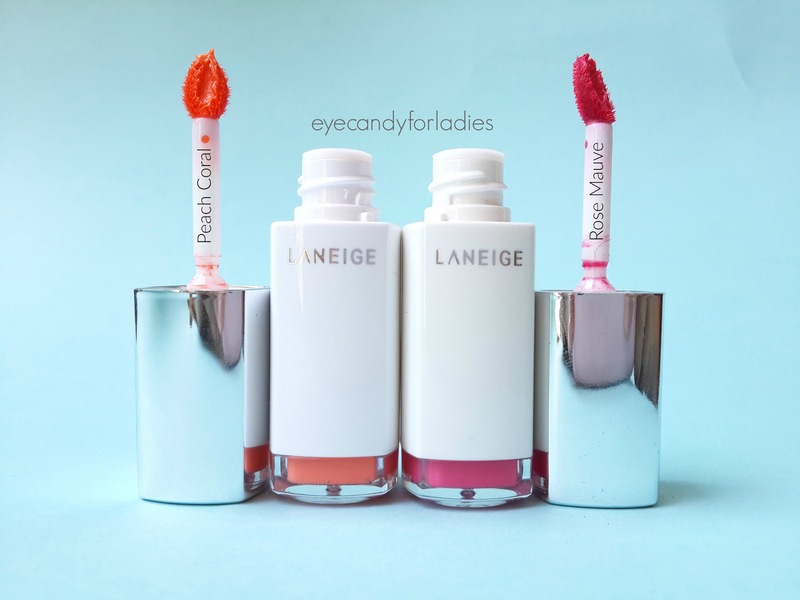 The good news: Laneige is now available in Indonesia! You can check directly to their off-line counter or head to some beauty-web portal which offers their selected products like Sociolla, Sephora, etc. 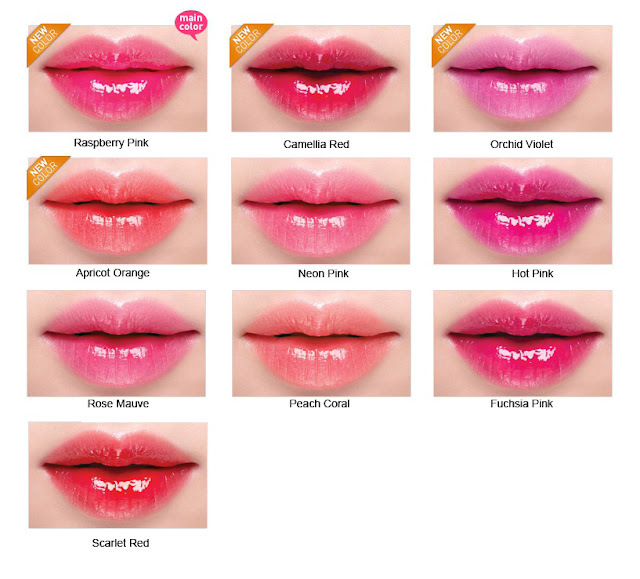 I'm not going to persuade you to buy this product, but really, this is one of the greatest glossy tint ever invented. The comparison shade will be between Rose Mauve and Coral Peach; any texture, finish, or product's formula already reviewed before, so this post will review briefly about the product pigmentation. As you can see, the shade is visible from the bottom of the tube; the left tube 'Coral Peach' whereas the right tube is 'Rose Mauve'. Coral Peach is a warm, true orange that looks striking bold in the applicator but turns surprisingly softer upon swatch. Whereas, Rose Mauve is a vibrant Magenta with red base that also looks softer when stroked. 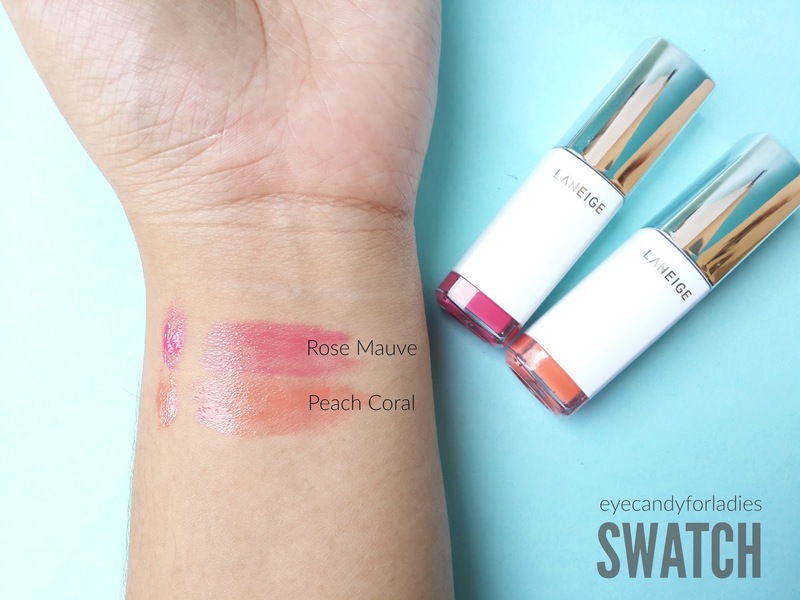 However, based on my experience the pigmentation of Peach Coral is more weak than Rose Mauve; it doesn't give opaque coverage or noticeable shade especially for people with pigmented lips (like mine). 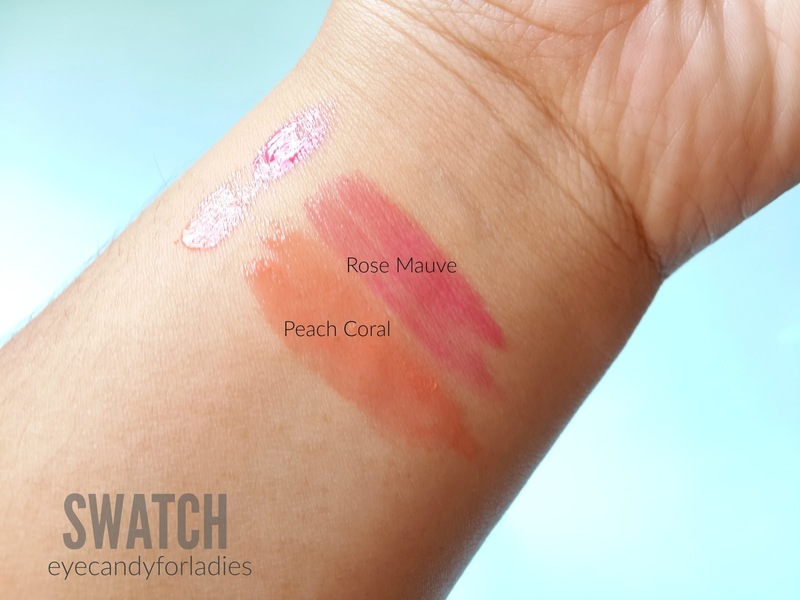 If you pay attention to the Chency's comparison here, Peach Coral is the deepest orange color available for this product. Maybe, people with pale lips brings out the color better than pigmented lips. 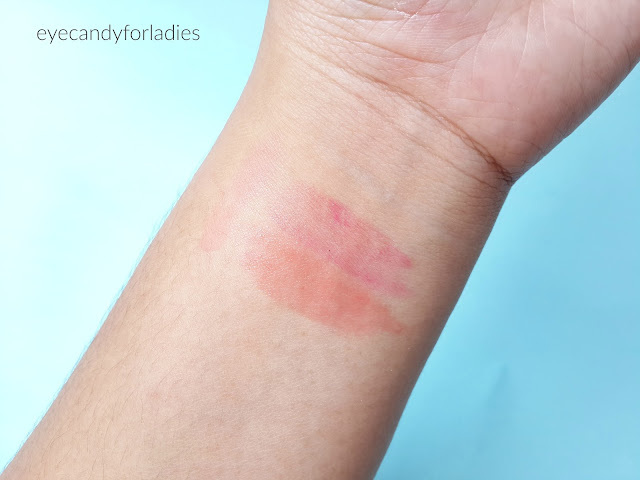 As you can see, both shades are versatile enough for daily or working environment, it also leaves a nice stain when rubbed off so you only lost the glossy-watery finish but not the tint color. 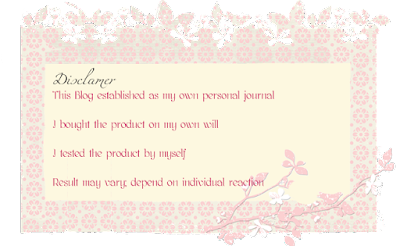 The longevity is normal, no shimmery/glittery particles within and fragrance-free. I love the coral peach color! It looks so fresh. 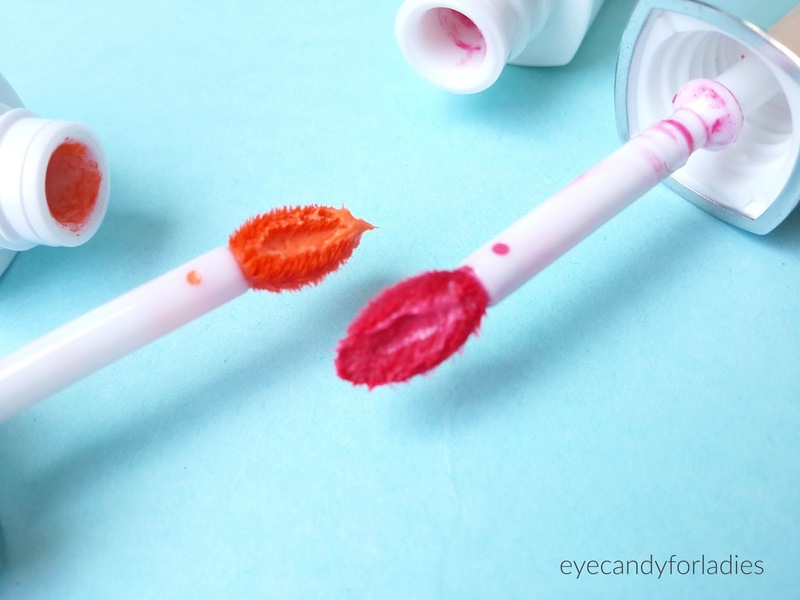 I've been obsessed with tints for quite some time, but have no tried or heard of these. 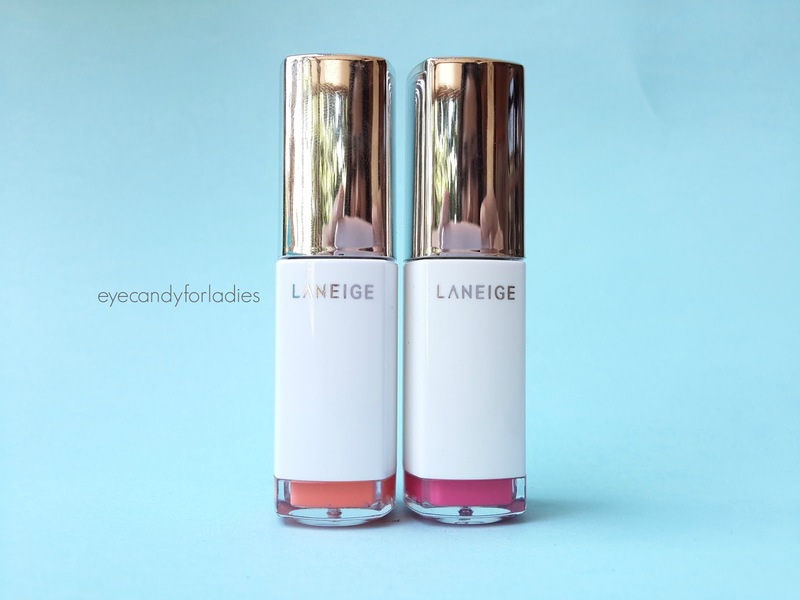 It sounds very expensive though >_< I'm a fan of Laneige products and I'm sure it is great, it would be a shame if they did discontinue it!